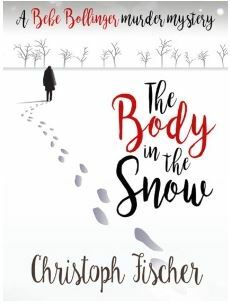 Author Chrisoph Fischer has just published his first Carmarthen mystery ‘The Body in the Snow’ and will be reading from it on Saturday 1st October, at 12.30 at the Carmarthen Book Fair, in the downstairs room, St Peters Civic Hall. 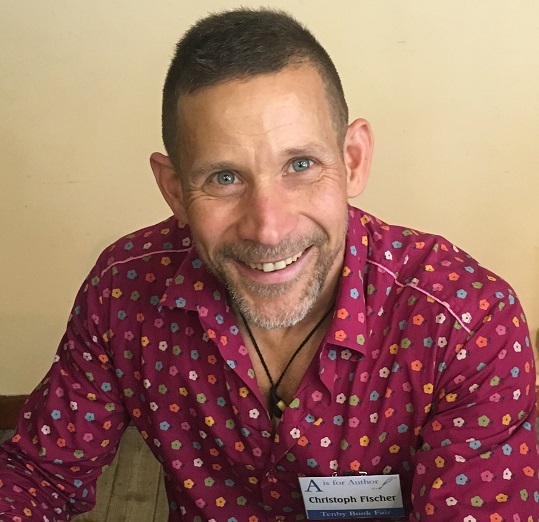 I wanted to know: Why did you choose Carmarthen as a setting for your novel? “The Body in the Snow” is set in Carmarthenshire, which has been my home for the last two years. The county is wonderfully beautiful with lush green hills, stunning mountain tops and spectacular beaches. Why more people don’t live here is beyond me. The main location is a fictitious, tiny hamlet just outside of town, cut off from the world by catastrophic snowfalls. The rural setting was important for the plot and the town of Carmarthen, with its blend of modern and historical architecture, and with its friendly and welcoming people, seemed just perfect as the secondary backdrop for a wintery mystery. This is the beginning of a series of books that are all set in Carmarthen, with more local flavour to come in, as plot drives the characters into new situations and locations. Originally, I wrote the story with a setting in England but the first draft showed that I wasn’t all too happy there. The tone had become somewhat tense and borderline acerbic. A year after I had moved to Llandeilo I started my first re-write and I brought the characters in the novel across the border with me. By writing them as Welsh, the characters lost their edge and the whole story became much more fun. It was always meant to be a cosy whodunit, a genre that allows for more flamboyant and colourful characters – which you find in abundance in Carmarthen, when you know where to look. The setting of “The Body in the Snow” is a declaration of love to this beautiful and unique county which added plenty of inspiration to the final version of the novel. Imagining the story in a location you know and love definitely helps the creative juices. I came to the UK many moons ago because of a Welsh lawyer from Swansea and have been with a Welsh man for the last ten years. Although I only lived here for a short period of time, my connection to Wales has been long standing. Once a week we crossed the Severn Bridge into Wales to visit my partner’s fragile parents and each time I liked the sensation of going to Wales. The book is particularly dedicated to the welcoming people of my adopted new home and the people who helped us to settle in there so quickly. After 15 months I now rarely go somewhere without bumping into someone I know and having a chat on the way. 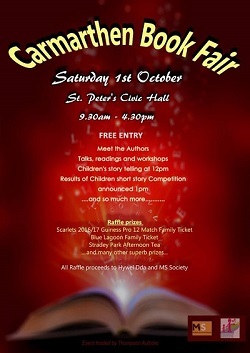 I hope to see some friendly faces at the Carmarthen Book Fair when I will be reading from my novel.